Being born and raised in Ottawa Chris knows the city and surrounding areas very well. His experience in real estate working on a top 1% team in Ottawa since 2011 has positioned him as one of the top real estate agents in the city with hundreds of transactions under his belt. His experience in working with all types of buyers and sellers allow him to be very knowledgeable about different situations that may arise. His high energy level, sense of humour, background in banking, sales and customer service gives him the edge over his competitors. Chris is married with 3 boys. Free moments are devoted to sharing their hockey life with an occasional break for some ice hockey and golf. 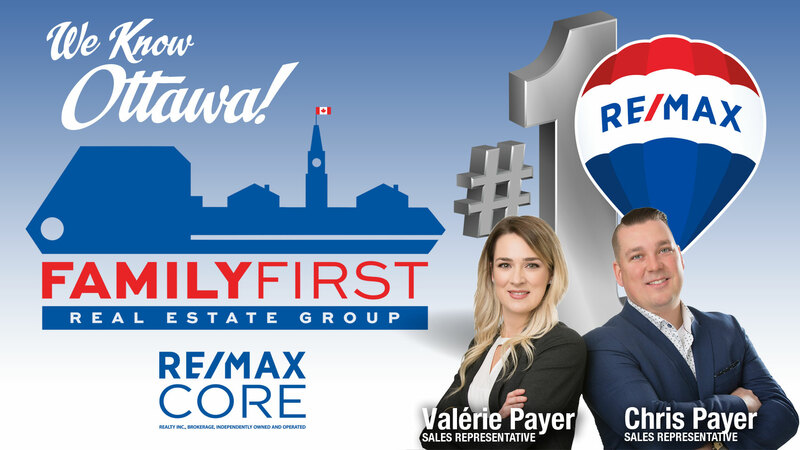 Born and raised in Ottawa, Valerie Payer has an extensive understanding of the real estate market. Whether buying, selling or investing she is dedicated to ensuring her client’s needs are met. Since 2009, Valerie has successfully met hundreds of client’s real estate expectations and aspirations. Passionate about her work, Valerie remains current with the real estate market by continuously attending seminars, reviewing market trends, and monitoring changes in real estate legislation. She is also accustomed in working with Royal Canadian Mounted Police (RCMP) and Canadian Armed Forces relocating to and from Ottawa. A college graduate from LaCité Collégiale with a degree in Correctional Services. Valerie’s passion to work with people along with an interest in real estate inspired her to become a realtor. She has proven to be a top realtor in the region and clients often describe her as enthusiastic, patient, and trustworthy. Valerie is also devoted to her family, enjoys recreational sports and spending time in the gym.